Yeah, spend $25k without seeing the product first. That’s why you have 7 days. And it is better than lying salesmen. It’s actually better. You have time to inspect it or have someone else inspect it. That won’t lye to you. Most reputable dealers will let you and encourage you to bring potential purchases to your mechanic. I know many automobile sales professionals that are not “liars”. It is offensive to label an entire profession as such! All cars originate from the same sources, auctions, off-lease, public, etc. Time will tell if companies like Carvana will survive! Do your research and you will discover that Carvana was started by one of those car salesmen you describe. I’m not a mechanic. By any stretch. There’s very little I can tell about the actual value of a vehicle by taking it for a test drive, other than whether it’s actually the make and model claimed. If you buy from other used car dealers, once you sign, it’s yours, no returns, ever. 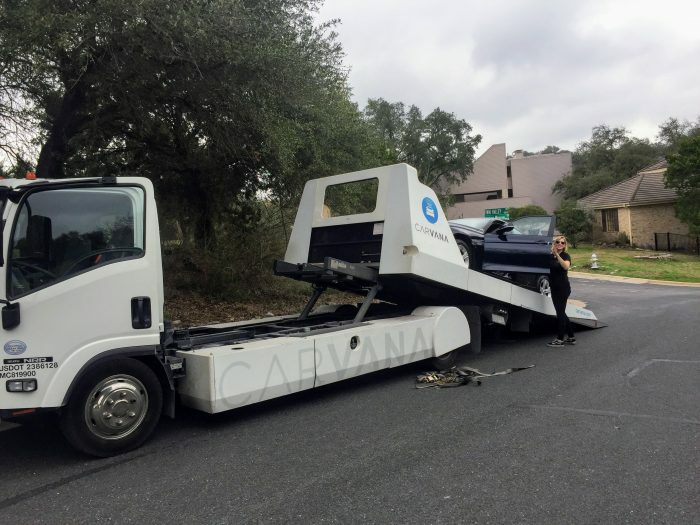 With Carvana, you can have your own mechanic inspect the vehicle and then return it, no questions asked. Just bought a car from Carvana yesterday and I love it. I hate going to the dealership and dealing with obnoxious sales people and they dont let you drive the car for 7 days and return it. Once you sign the papers, you’re stuck. This has been the best car buying experience I have ever had. So yeah, it is a great idea. Whoever came up with this is a GENIUS. another part that is great about carvana is that they do not charge any hidden fees. many used car dealers charge you processing fee (can be 300-800), some charge transfer fee (for example, if you like a carmax car in different state, you have to pay for the car to be shipped to you). We just purchased from Carvana. 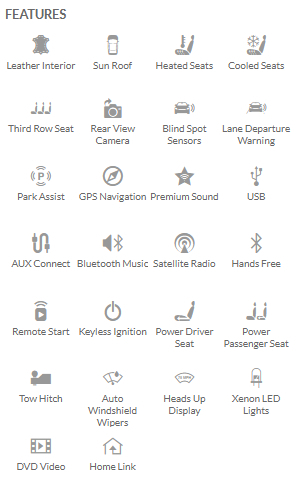 Similar situation with one difference– the one “must have” feature that we wanted was clearly listed in the features and we even called to make sure that this vehicle did, indeed, have this feature. A DVD player. I have 5 kids. I wanted a DVD player, period. We waited a really long time for our car to arrive. It arrived last night. There’s no DVD player. My concern is whether they will refund the $400 transport fee. I do not want this vehicle without the DVD player. I found other vehicles, with lower miles and a lower price, without a DVD player. So, if I was willing to give up that feature, I could pay less. Other than that, I am very pleased with the process, especially that I have 7 days to have the car inspected by my own mechanic. I purchased from Carvana, and can say I’m very pleased with them. I got my first car and then decided it wasn’t for me. The exchange process was so easy and smooth. Literally no questions asked. I give them 5 Stars. I’ve tried 3 different cars through Carvana. The first a 2011 mustang. It was a great car except for the evident water damage discovered under the seats (major rust). They would not budge on price, so it was returned. The second a 2013 Dodge Dart. It was a decent car for the 10 min I got to drive it before being t-boned as I was returning the vehicle from the test drive. I was forced to keep the vehicle and I had to go through a few months with the assailants insurance. I would have liked more time with it to properly diagnose the engine but overall I would say it was the best deal catching it with the $1000 cash back at the end of the year sale. The 3rd is a 2014 Chevy Cruze with all the perks and very low miles and by far the most disappointing one of the bunch. Key Fob isn’t working, numerous cosmetic issues not shown in the photos, and a strange ticking noise coming from the engine which also has some discrepancies. Granted it has only been one day, and yet, have already decided I will more than likely return it although I will go over it for the next few days and possibly waste money I needed to take it to a mechanic to make sure it is even worth purchasing. Not something that should be being done if they guarantee its been properly inspected. They sell cars at a premium price, with the idea that if something goes wrong in the first few months, they will have the money to cover it. If not, its your loss, and their gain. Carvana……hogwash. This is obviosly a promo “review” by a Carvana marketing expert. I too went through the Carvana meat grinder. So I ordered a car, everything is great so far. I get an email “the back of your driver’s license isnt clear try again and we need proof of residency. So I took several pictures of the back of my license. Phone rings why did you send the back we need the front. But the email said back, no it didn’t, yes it did, no it didn’t, yes it did I’m looking at it now. Oh yeah your right but we need the front. Then a $399 destination fee is added. Why I ask, the site says its about 1 1/2 hours drive away? It’s $399 for delivery. I say I’ll come get it. It’s still $399 plck up or delivery. What happened to free delivery in 4 days? Well now its $399 and arrive in 10 days. On day 9 they call and say it will be 4 more days for delivery. Later that night they called and said it will be 4 days plus a week before its delivered. I did two things. First I changed the Carvana delivery date to April 1st. If they show up I will yell APRIL FOOLS ! I have sent 4 emails and tried calling 3 times with no luck. 2nd I went to the local dealer, bought the same car, same trim, a year newer and less miles for $300 more than Carvana…….it took me 2 hours and 45 minutes. Well whoopdee do for you. I got the run-around, delays, requests for info they already had, and ultimately canceled the deal. They aren’t ready for prime time yet. Well aren’t you just full of puppies and rainbows? Geeze God forbid someone have a good experience without you peeing in their cheerios. I also had a great experience. This isn’t true, because when you add the vehicle to your insurance they will ask what the purchase date was. They’ll then backdate the coverage (and bill you) from that date forward. The only way you end up with “free insurance” is if you lied about the purchase date, which is kinda sketchy. Just thought I’d clarify because I used to have this misunderstanding too, even though I work for a large insurance company. I too have searched Carvana for vehicles and was put off by the large number of rental and fleet vehicles. I do not understand the misinformation in this article that Carvana seems to stay away from these vehicles as that is basically all that I could find on the site. Other than that and the delivery charge (that does exist), I was Intrigued by the whole process. Can you provide an example of fleet/rental cars on Carvana? Perhaps that has changed. Sure. I quickly researched 3 cars for sale on Carvana presently. 2018 Chev Cruze stock # 2000278560; 2018 Ford Focus stock # 2000284439, & 2017 Toyota Prius stock # 2000285617. I purposely chose three different manufacturers. Thanks for that. I’ll update the story. You don’t know how badly I wanted to be wrong about this. I searched Carvana for months looking for my next vehicle,. I did not want a vehicle from a rental agency or one from the “rust belt”. I gave up a year on Carvana a year ago. Granted, I was not looking in the BMW class, perhaps that is what makes the difference. I am still intrigued by the Carvana process as I despise going to a dealership, so I did thoroughly enjoy the recount of your experience. Thank you for sharing. I became physically ill thinking about walking onto a car lot. I ran across Carvana, picked out my car on Saturday and picked it up on Tuesday without a hitch. I will never in life walk onto another car lot. Awesome experience, without the anxiety.